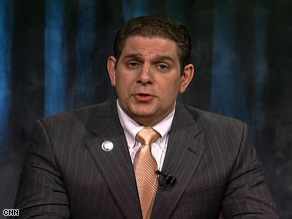 Lansing, Michigan Mayor Virg Bernero’s initiative to promote American-made products takes the basic idea of buying American a step further. More than just a belief, buying American is a necessity to stay competitive as a city, and even as a country. Lansing is a city that pulses on the hard working American workers who manufacture consumer products. It’s time we started supporting our businesses the way our foreign competitors do. It’s time for patriotic purchasing. Had a nice time at the Mayor walk. Thanks for the American made t-shirt. You and your family are so darn cool, as are so many Lansing folks. Got ya on twitter. Continued success for our town and beyond!